For the more serious time travel scholar, Stephen Hawking has weighted in on the subject. 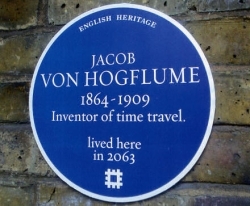 And we have a Professor predicting time travel in this century. For a fun list of the best and worst time travel movies check out this list. I found some I’d missed (on both lists) that I’ll be checking out. 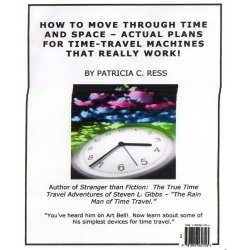 Pauline Baird Jones has not only read many time travel books and viewed numerous time travel movies and TV shows; she’s written several books that incorporate time travel (though it almost made her head explode—hmm, plot by MIB and the gray aliens to halt time travel fiction? ).